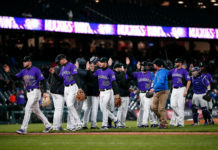 After losing their ninth straight game at Coors Field to the Diamondbacks on Tuesday, the Rockies fell to 18-23 at home for the season. 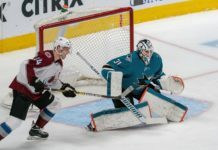 Their abysmal .439 winning percentage at home is the fourth-worst in the National League, and if it were to hold out through the rest of the season, it would be only marginally better than 2012’s 35-46 (.432) home record at Coors Field that marked the team’s worst season out of 23 that they’ve played in their home park. Entering this year, the Rockies were 1,018-845 (.546) at Coors, and if the Rockies were even close to their historical averages — 23-18 (.561) comes closest at this juncture — they’d not only be leading the NL West with an impressive 51-40 record; they’d be only 3-1/2 games behind the Brewers for the best record in the league. That’s the ground that the club’s already ceded to its opponents by its historically poor performance at home this season. The Rockies’ 3.96 team ERA on the road ranks seventh in the league; not bad at all, given the youth of their rotation. At home, however, the Rockies’ 5.76 ERA is not only dead last, it’s more than a run worse than the next closest team. 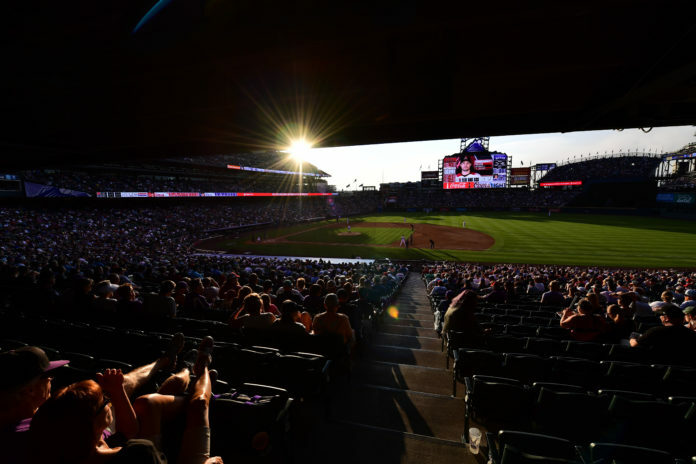 There’s still time to reverse the trend; the Rockies’ 50 road games at this juncture is the most in the league, so the Rockies will have plenty of home games available in the second half of the season to right the ship. But in truth, there’s been no real indication that they will; an inconsistent offense in the league’s best offensive park isn’t likely to sustain support for any pitching staff that has to deal with the devilish nature of Colorado’s altitude 81 times in a season. Following a wild-card postseason appearance in 2017, the Rockies felt this was their year; their chance to arrive on baseball’s scene as a regular contender. The dirty little secret? They’re good enough to do exactly that; as shown above, even an average season as Coors makes the Rockies the favorite to claim the NL West for the first time in history. However, as in most things, it’s the execution that counts — and the Rockies aren’t executing at home. 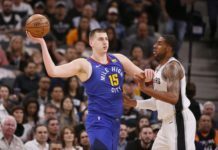 If they don’t turn that disturbing trend around soon, it’ll be the epitaph to a season that might have been; a missed opportunity that might change the entire trajectory of the franchise.